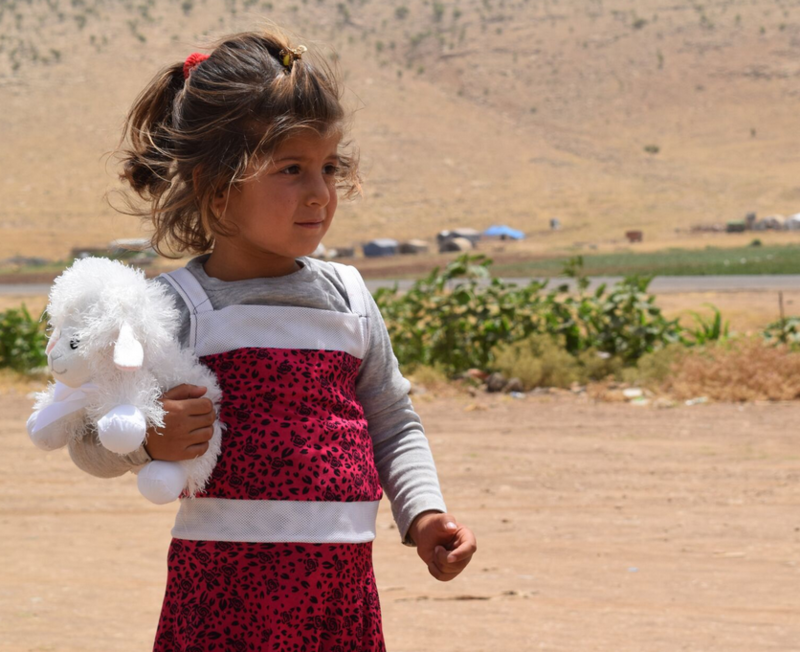 Children in Iraq and Syria have had to flee their homes, schools and communities as the result of ISIS aggression. They are often housed in IDP camps (internally displaced persons camps) and have limited access to basic necessities. ATP began delivering Lion and The Lamb Life Packs in 2015 and noticed an immediate impact in the lives of the children that received them. Since then, ATP has delivered over 25,000 Lions and Lambs in the Middle East! Each Lion or Lamb plays soothing music and recorded messages of hope and love in the child's native language. These are tremendously effective in reducing stress and anxiety in children traumatized by years of war.It is easy for you to help bring hope to these children! Only $30.00 provides one Lion or Lamb to a child in need. Just complete the form below. Your contribution to the Lions and Lambs Initiative will support all aspects of the production and delivery of Lions and Lambs to traumatized children.